Swift said: "It was not an accident. It was completely intentional, and I have never been so sure of anything in my life." Swift maintains she was sexually assaulted, but she was trying to keep the matter discreet and quiet. She says she does not know Mueller and has no incentive to target him or to fabricate a story. 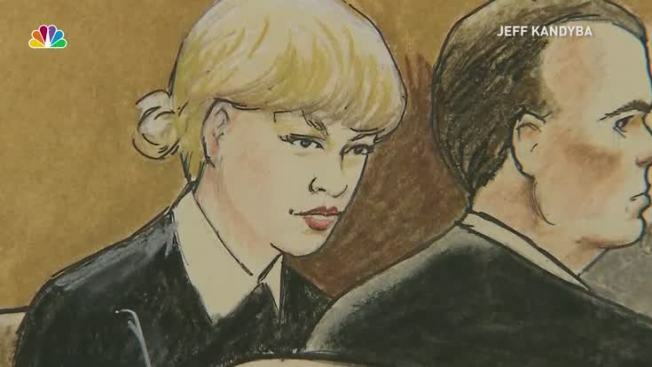 Andrea Swift, the singer's mother, will testify about the decision to contact Mueller's boss and not call the police. Frank Bell, a member of the singer's team, will testify about why he contacted Mueller's bosses at KYGO and what was said. Bell and Andrea Swift are also defendants in Mueller's lawsuit. Shannon Melcher, Mueller's girlfriend at the time, will testify about standing on the other side of Swift when the photo was taken, and to Mueller's character. Greg Dent, Swift's bodyguard, may be called to testify about what he saw during the encounter.